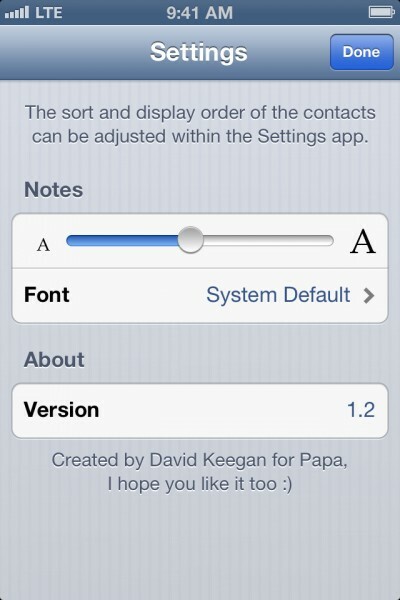 Notable - Contact Notes Made Easy (Free) by David Keegan is a simple contacts app that does what it says. We meet new people everyday while we are out and about. 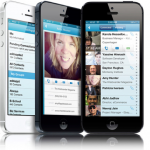 Whether it’s a new classmate that will soon become a close friend, a coworker that you need to talk to on a daily basis, or a new acquaintance that a friend introduced you to — these are all new people, and as they accumulate over time, it may become harder to remember why you have them in your address book. 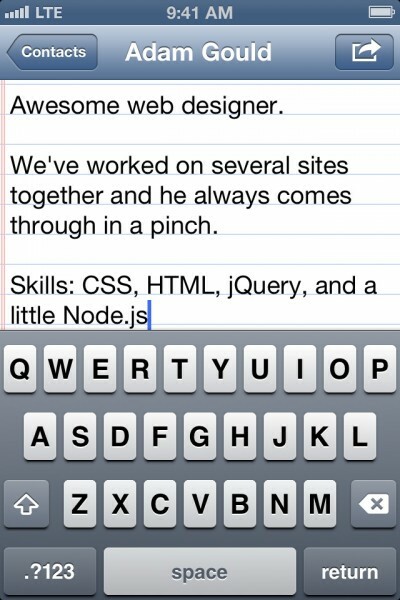 The best way to remember why you added someone is to make a note of it, right? Notable makes that task easier than ever before. 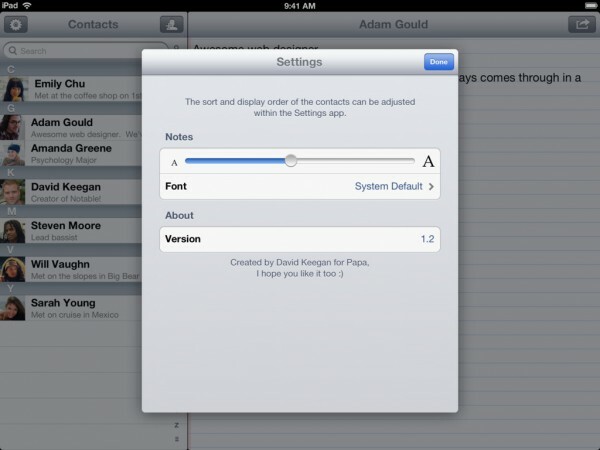 If you have been using the default Contacts app on your iPhone or iPad to add new contacts, then you should know that there is a “notes” field when adding new people, but it is kind of hidden, since it is one of the last text fields. But if you ever want to go back and add a note later, it’s quite a hassle, since you have to find them, tap on the name to view their card, and then edit the information, scroll to that field, and then enter in the data. 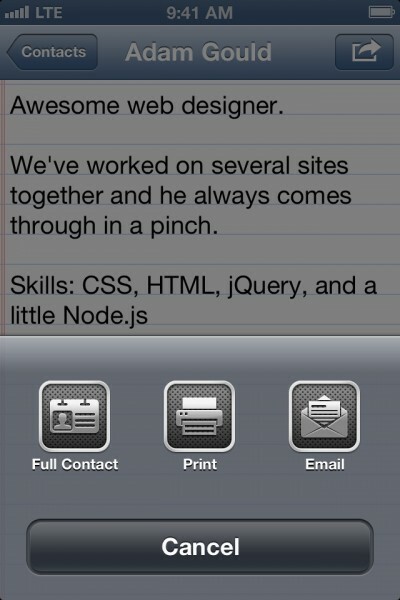 Notable eliminates all of the extra, unnecessary cruft. 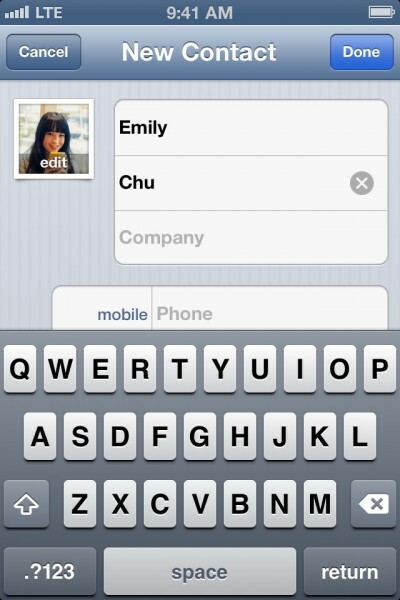 Of course, since this is an app that deals with your contacts, it will need to fetch data from your address book. If you are uncomfortable with this, then forget about the app and you can stop reading this review. But you really shouldn’t mind, because the app does not store anything on any servers — all data is local to your device. 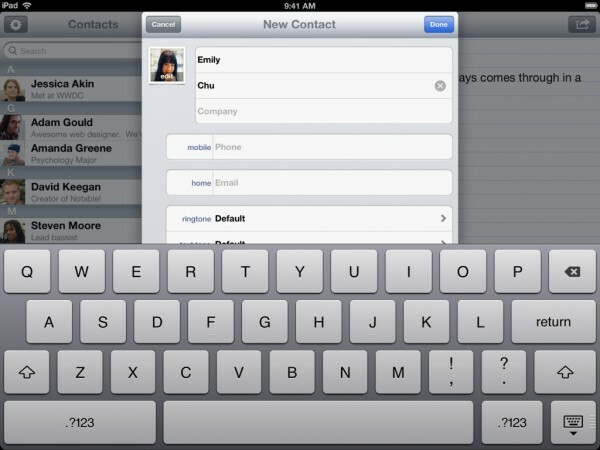 Whatever method you have set up for your contacts on your iPhone or iPad, it will all show up in Notable. 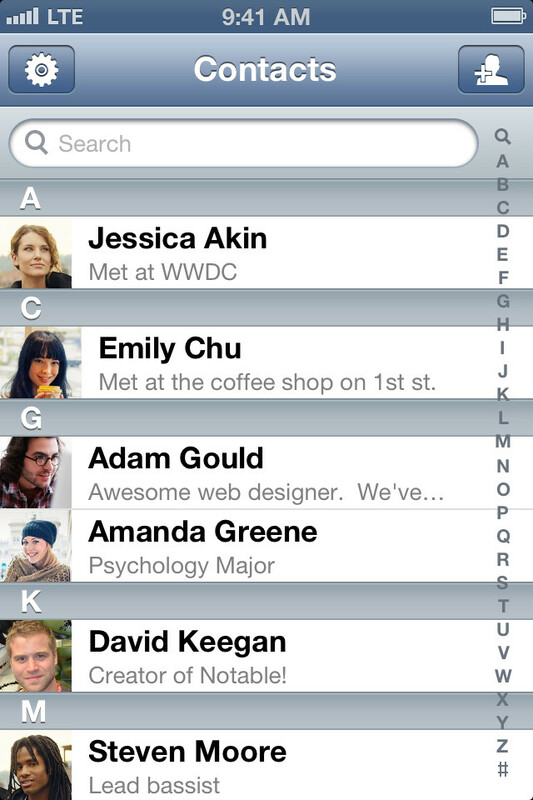 When you view your contact list, it will be a screen that is similar to that found in Contacts, except you have the nice addition of seeing any contact photos in the left hand column, which is a nice touch. This makes it easier to identify who is in your address book, because sometimes having just a list of names isn’t very helpful (especially for those who remember visually). You can quickly jump to a certain letter with the alphabetical side bar, or you can find people quickly with the search bar at the top. 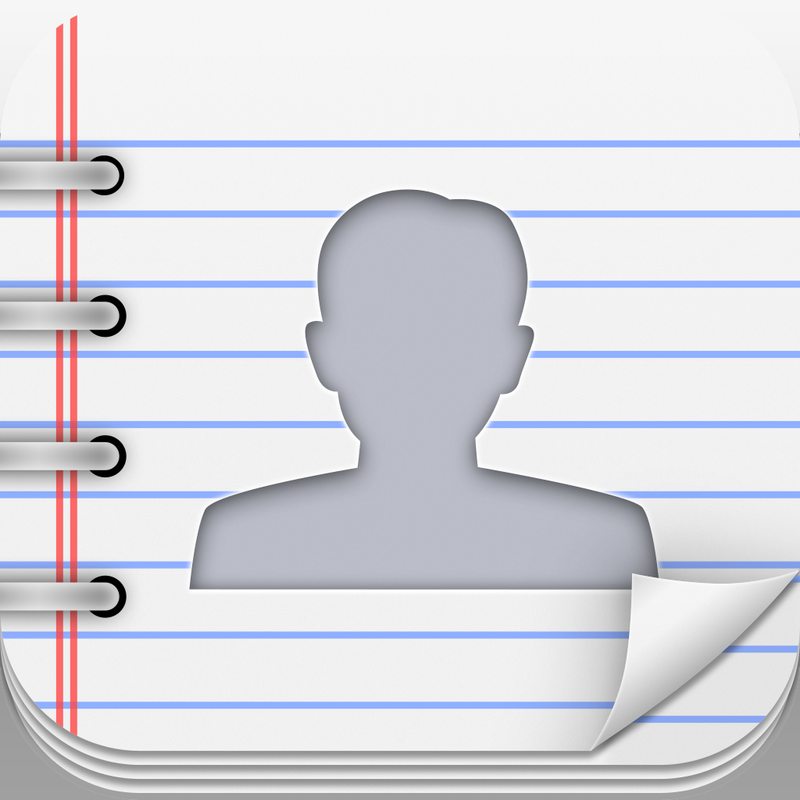 When you want to add a note to a contact card, just tap on the name and Notable brings up a blank, lined screen (think of notebook paper). 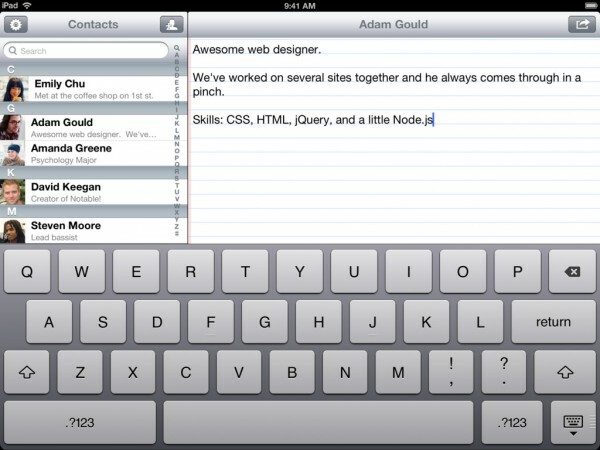 Tap anywhere on it to bring up the keyboard, and start writing in your note about that person (or business). When you’re done, just tap on the button to go back — changes get saved automatically, and will also make their way to the native Contacts’ “notes” field. 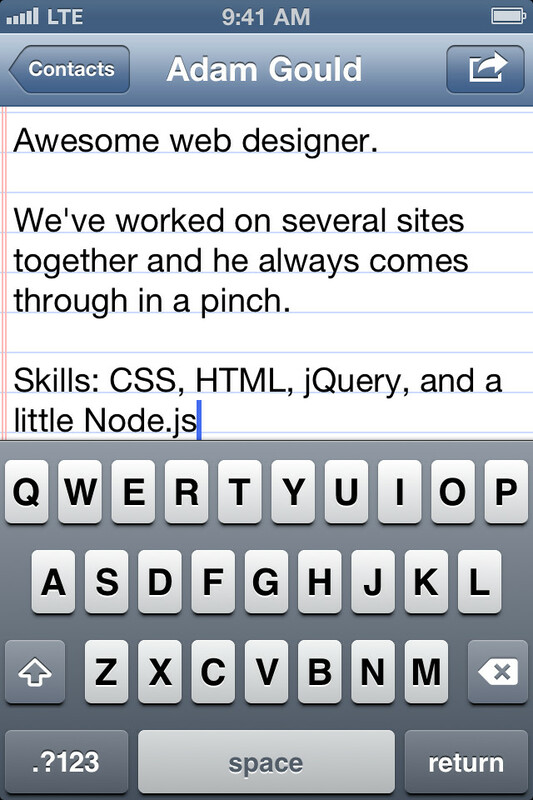 The greatest thing about Notable is the ability to change the text size and font for your notes. 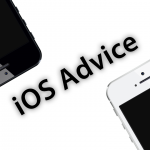 To do this, all you have to do is access the app settings with the gear icon in the top left corner, and adjust the slider for the text size, and select the font you want. Your choices are: System Default (Helvetica), Avenir Next (my current favorite), Typewriter, Chalkboard, Gill Sans, Marker Felt, and Verdana. Even if you stop using Notable, all of the notes you make will be sent to your address book, so the data you enter in Notable will not be lost. 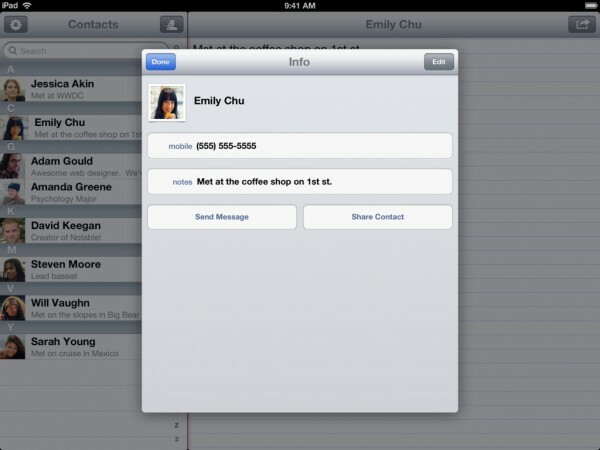 Whether you use Google Contacts, Exchange, iCloud, or whatever, the note data will still be there. While Notable is free for the most part, and will work as intended without paying for anything, there is a Pro upgrade available. 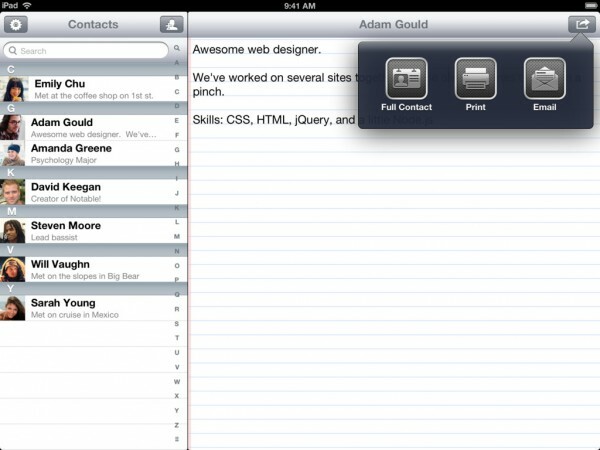 The upgrade will give you the ability to add, delete, view, and edit full contact information from Notable, and even print and email contact notes to others. This upgrade will only cost $0.99, and you can always restore purchases later if you restore or switch devices. I recommend giving this app a spin if you have been looking for a fast and easy way to add quick records for people you meet and need to remember why you’ve added them in the first place. The app is available for free in the App Store for your iPhone and iPad, and has an in-app upgrade for more features for only $0.99.